While working for my main gig nowdays at SPINALpedia.com, I came across this amazing lady is known as the Pretty Cripple. She is a beauty blogger from New York City and her style is crazy unique. I love it! 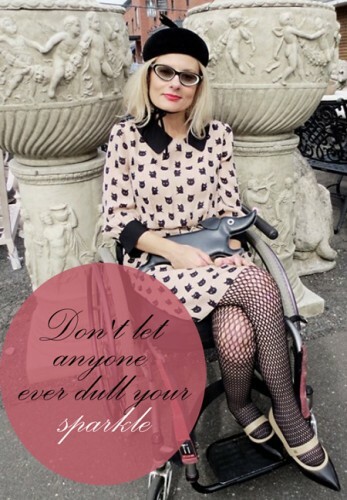 I would say it’s “retro wheelchair fierce” and yes, she wins at life.